Synthetic dyes have not always been in existence, the age old craft of dying fabric using natural plant colour has been in use for centuries. One such dye that you may be familiar with, is natural indigo, an organic blue substance, obtained from the indigofera tinctoria plant - one of the original sources of indigo dye. 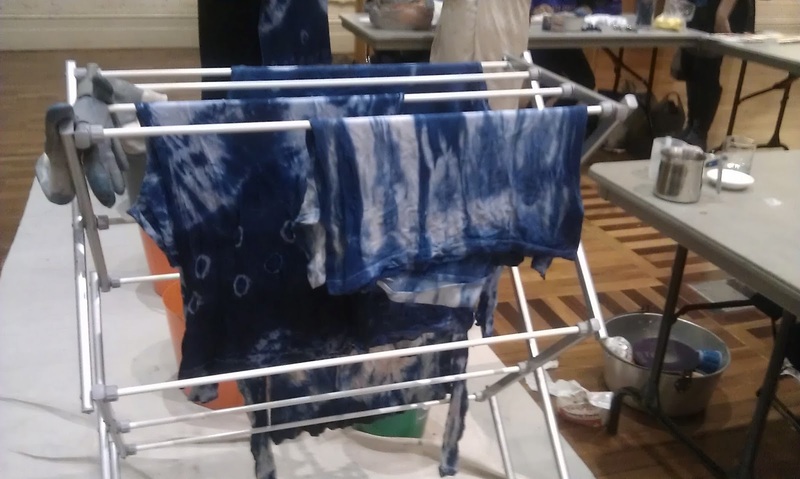 I took part in a Natural Indigo Dye workshop last Thursday, offered by Melbourne based designer and crafter Myf, held at St Kilda Town Hall as part of The City of Port Phillip's Creative SustainAbility event. 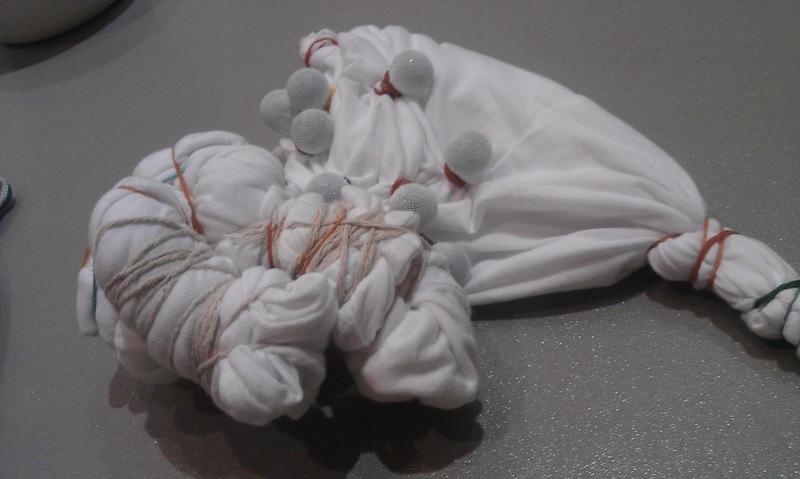 Her 45 minute class introduced us to resistance techniques such as clamping, scrunching, tying with string, using marbles, elastic bands and sticks, which result in different shapes and patterns on our chosen material. After scrunching, tying and attaching marbles, it is time to dunk the garment in a bucket filled with indigo dye, gloves are essential. After dunking the appropriate number of times to achieve the required blue shade, it is time to rinse the tee in warm water, and leave to dry. 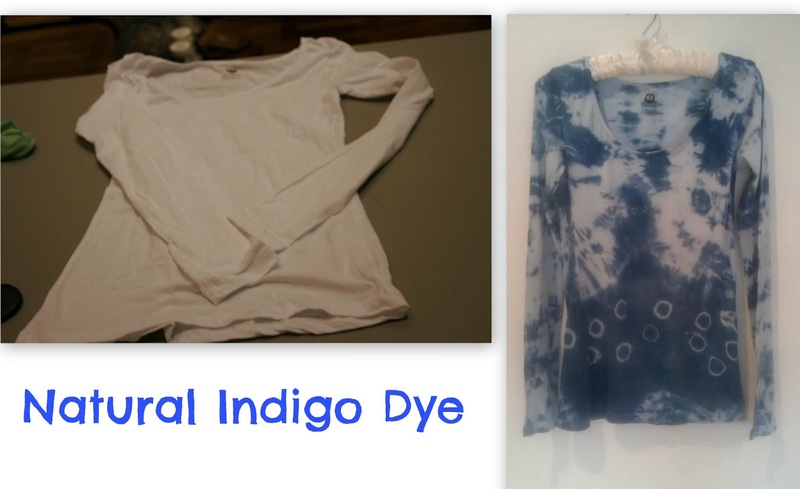 Worth noting, indigo dye has a very potent smell, I rinsed my tee out a few more times at home to rid the garment of its distinctive indigo odor. 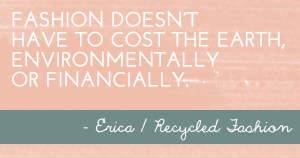 Melbourne based folk, fear not if you missed last week's workshop. 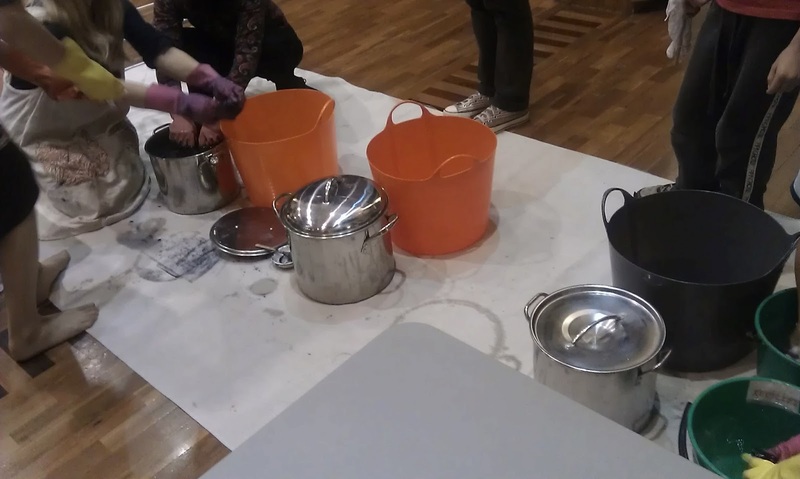 Myf offers natural dye workshops held at Pop & Scott Workshop Cooperative in Northcote. Her next Alchemy workshop is on this weekend, on Sunday 16th June. 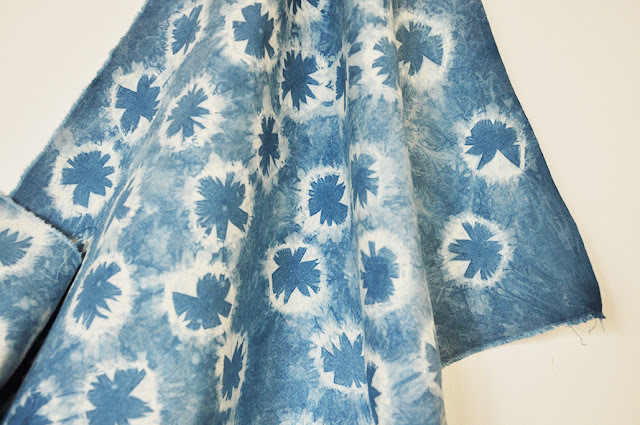 It will be a three hour class, where she will be teaching the application of colour to textiles using natural dye. More details here, and here. 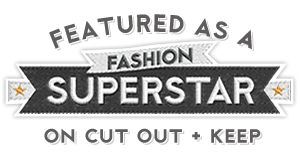 If you live in Australia and would like to buy natural dye by mail order, you can do so via kraftkolour. Don't forget to enter our Pretty Caps giveaway, competition closes on 26th June. i love the tee,great idee putting marbles in it. Wow....the t-shirt looks terrific....you look terrific.....and baby bump looks great.